Over on my other blog, The Greening of Gavin, I interviewed Lucy House who runs a free range farm in Baralaba, Queensland. She blogs at Healthy Farming Healthy Food. During the interview she mentioned that she milks four cows daily, and makes her own cheese once a week. She makes a really tasty cheese loosely based on Chabichou, but without a ripening period. Lucy has kindly shared her recipe and method below. I believe this is actually called Chabichou, which is a fresh cheese. However, I either put it into a brine or I cut it into chunks and marinate it in oil and herbs. Start this in the morning and it will carry over into the next day. 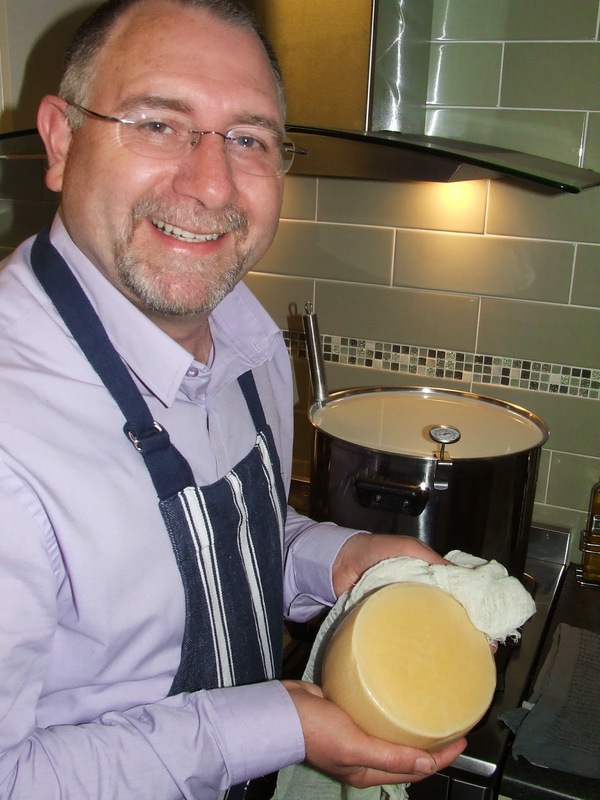 Milk – I do 4-5 litres and get three cheese baskets, which gives about 250g fresh cheese each. Add starter and let sit for half an hour. Incubate for 10-16 hours at room temperature. The curd will be very firm and there will be a small amount of whey on the top of the curd. Place cheese cloth into hoops/baskets on top of a draining rack. 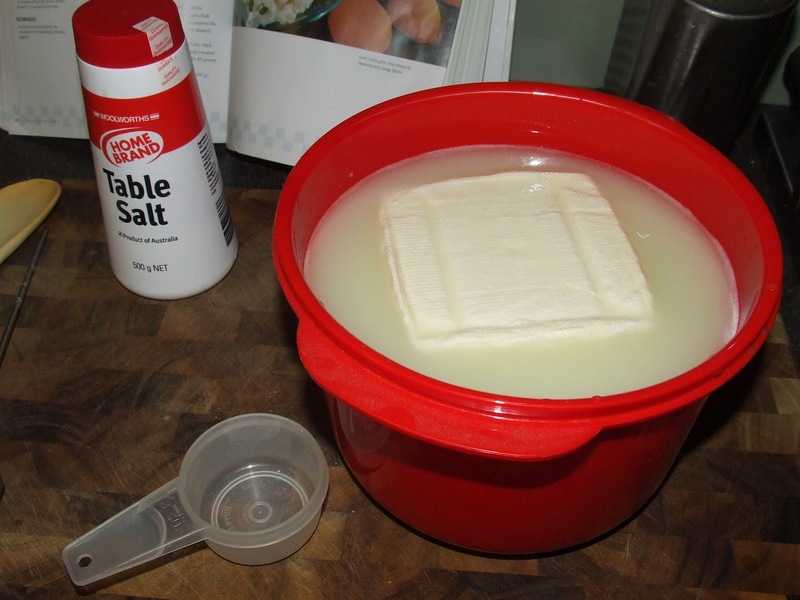 Carefully place “slices” of curd into the baskets until they are full. Leave hoops to drain overnight – you will need a large dish to catch all the whey. If there’s too much for the baskets, place into a cheesecloth/bag. This is basically quark. The next day, sprinkle 1/8 teaspoon cheese salt on top of each cheese and leave for approximately 2 hours. Remove the cheese, turn over and sprinkle more salt on. Leave another 2 hours. This can be consumed as a fresh cheese and eaten within 2 weeks or for longer keeping, put into a brine or place in oil with herbs. Brined cheese – after a week or two, this is a very crumbly style feta. Marinated cheese – stays very creamy and can be used as a spread or used in salads etc. By all accounts, everyone at her place loves this cheese. I will have to try it out during my next cheese making session!